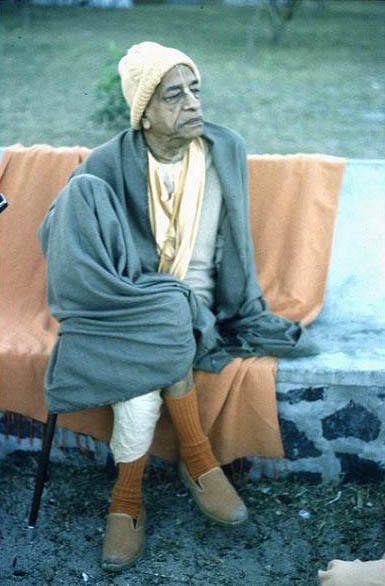 "So this Krishna consciousness movement is very scientific and authorized. It is not a bogus thing, something manufactured by concoction of the mind. It is authorized, based on the Vedic instruction, as Krishna says, sarva-dharman parityajya mam ekam saranam vraja [Bg. 18.66]. So we teach only this philosophy, that you... Krishna, here is Krishna, the Supreme Personality of Godhead. You are searching after God. You cannot understand what is God. Here is God, Krishna. His name, His activities, everything is there in the Bhagavad-gita. You accept and surrender unto Him. And as Krishna says, man-mana bhava mad-bhakto mad-yaji mam namaskuru [Bg. 18.65]. So we are speaking the same thing. As it is stated in the Bhagavad-gita. We don't misinterpret. We don't spoil the whole Bhagavad-gita. We don't do this mischief. Sometimes people, they say, 'Swamiji, you have done wonderful.' But what wonderful? I am not a magician. My only credit is I have not spoiled the Bhagavad-gita. I have presented as it is. Therefore it is successful."